What’s The Cause Of Split Serif RPMs? to other obvious doubling, it shows a nice triple serif as pointed out by the arrows. Another shot from angle to better show the CW rotation of one of the punchings. Q: Why/how do [many] mint marks wind up with split serifs? I suppose the secondary question is “do split serif mint-marks always qualify as RPM’s? A: There are two distinct causes of RPMs. 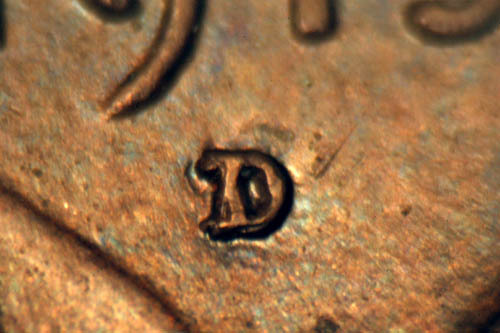 The most common answer to this question is that RPM’s (including those with minor split serifs — with few exceptions) occur due to an attempt to strengthen or correct a Mintmark with a second or a series of secondary blows of the mallet to the punch. If any of these attempts are off-register from the first then an RPM occurs. The result can range from split serifs (many of which are considered by me and others in CONECA to be too minor to list) to wide-spread, even fully separated RPMs. 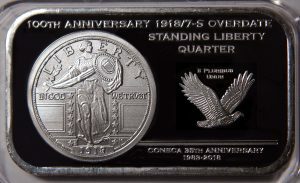 The second, less publicized cause, is what I call “punch bounce.” This can occur during an apparent single blow of the Mintmark punch with a bit of bounce occurring. 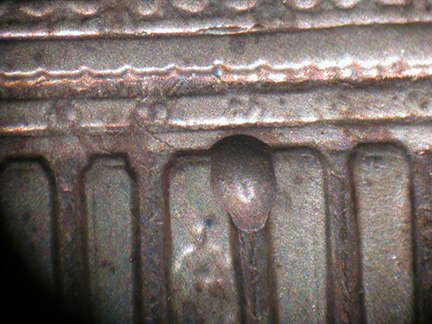 Most error-variety specialists do not mention this cause simply because they do not have a background in metal stamping or related operations to be aware of it, however, after decades of seeing doubling occur on metal stamping from scores of different presses ranging from Schuler to Bliss presses of all sizes that required a part number that were single struck into the part but resulted in doubling, I am of the opinion that the larger majority of RPMs are due to this cause. In fact, during an experiment I conducted several years ago to see if a number punch could be hand-punched into a hardened die, I was not only able to easily sink the character into the die a number of times (before the punch began to mushroom) but on one attempt the impression was actually doubled due to punch bounce. When I worked in quality control, whenever a press began to impart doubled part numbers into a workpiece, I’d shut down the press, inspect the tooling that held the numbers in place and always found loose, broken or missing bolt(s) to be the concern. While the doubling itself was of little concern to me, if the bolt heads were allowed to work their way out too far, the assembly and/or bolt head could begin damaging the parts or the bolt head would break off and cause extensive down-time (which explains why I’d take the time to watch for this and then make sure that preventive maintenance measures were taken). 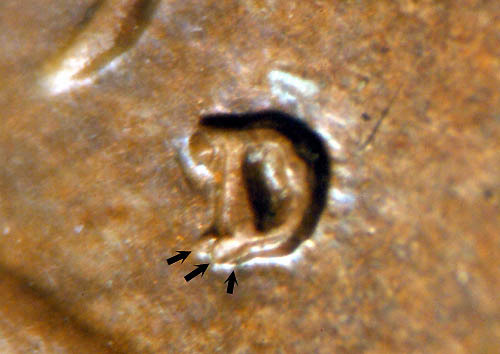 A couple of exceptions of coins that appear to have split serifs from repunching that are not RPMs that come to mind are some of those for 1952-D and 1979-D. Many of these are from damaged punches. There are surely other dates for which this is a factor. Since these are not true RPMs and we do not list them as such. 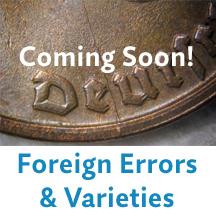 ‹ What Determines The Final Diameter Of A “Golden” Dollar? 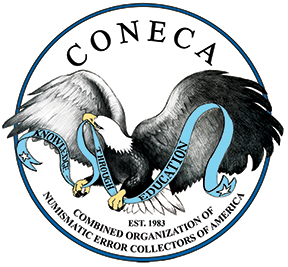 › What are the CONECA State Representatives up to these days?